SugarMyBowl.com: Hanging Loose is a way of life in Hawaii! Hanging Loose is a way of life in Hawaii! I’m sitting here on a plane heading to LA (before heading back home to Chicago) reflecting on the past few days of happily soaking some aloha spirit in Hawaii. Although this is not my first trip to the island, (been there at least a dozen times) I still find it as exciting and as RELAXING like it was the first time I’ve been there. I can never have enough of it. It's not just the beautiful views in Hawaii that keeps me visiting, but it truly is the people's spirit and how much respect they have on their land and culture that I find so beautiful. This is my children’s second trip to Hawaii and we even brought my Mother-In-Law with us this time. I woke up every morning to run/walk the beautiful shoreline stretch of Waikiki and then I head back to our hotel (see more about our hotel below) to wake everyone up to head for breakfast. After breakfast we either head down to the beach or the pool. While the kids are having fun swimming with newly found friends, I found myself immersed in a book called Girl In Translation by Jean Kwok. I did hope for something light and funny for a summer read, but this book had me thinking of the character for days. 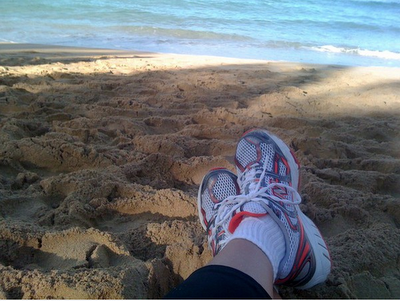 On days we felt like going to the beach, we drove to Kailua Beach Park and enjoyed the coastline drive. The views were spectacular and so we had to stop and take more pictures. Kailua Beach has really fine sand and a great place for the kids (or kids at heart) to build sandcastles. 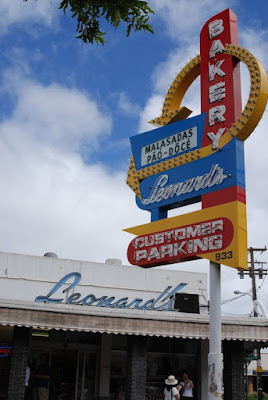 We also always pass through Leonard’s Bakery first in Kapahulu to get some malasadas (Portuguese sweet breads). 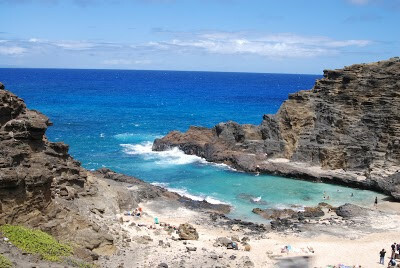 Another must for anyone visiting Oahu. Since this is my Mother-In-Law’s first trip, we decided on hitting a Luau. 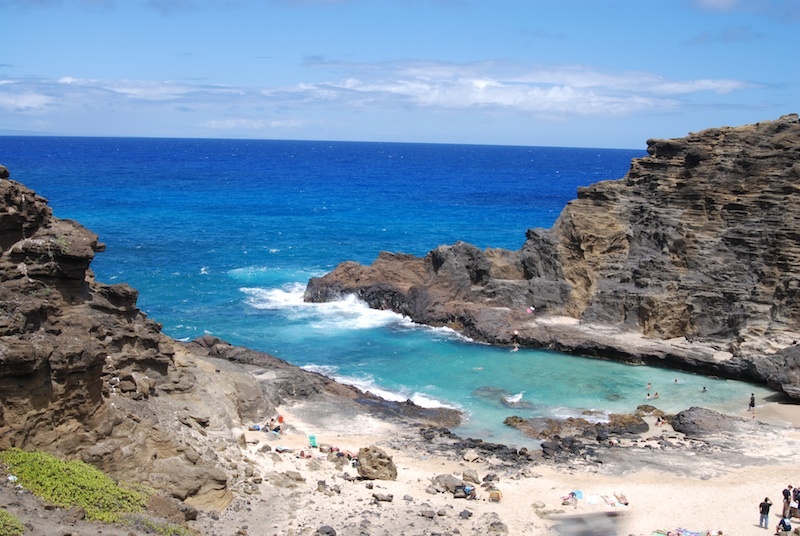 We normally choose Paradise Cove since it is in a secluded location and you really feel the spirit of a true luau, but we didn’t want to take another long tour bus ride just to get there and so we settled at Hilton Hawaiian Village’s Waikiki Starlight Luau. It also happens to be way cheaper that Paradise Cove. It was convenient and so we surprisingly liked it and glad we did it. I would however recommend Paradise Cove over the Waikiki Starlight. I kept the kids busy with activities. There were so many to choose from but the kids enjoyed the Outrigger Catamaran ride the most. There are other things that we wished we had time to do like take surfing lessons by Duke Kahanamoku’s Statue on Waikiki Beach. It has now been added to our list for our next trip back. Yes, my husband and I are already dreaming of making another Hawaiian trip. Very soon! · ***A shout-out to Embassy Suites Waikiki – I would recommend this place to anyone visiting Oahu! This is our second visit to this hotel and we loved it even more this time around. The hotel offers a cook-to-order buffet with an Asian flair of having rice, nori rice seasonings, miso soup, added to the mix of American style waffles, french toasts, bacon, sausage choices. But our most favorite part of the hotel is their pool. Their pool accommodates little kids with their very own pool that overflows to the adult side. The pool floor and wall looks like it was wrapped with white bubble wrap. The pool is also just tall enough for even 2 year olds to stand on and can walk around without the worry of falling and scraping themselves. The hotel is also a skip and a hop away from the beach! Great video! I will definitely take your recs on our trip late August. 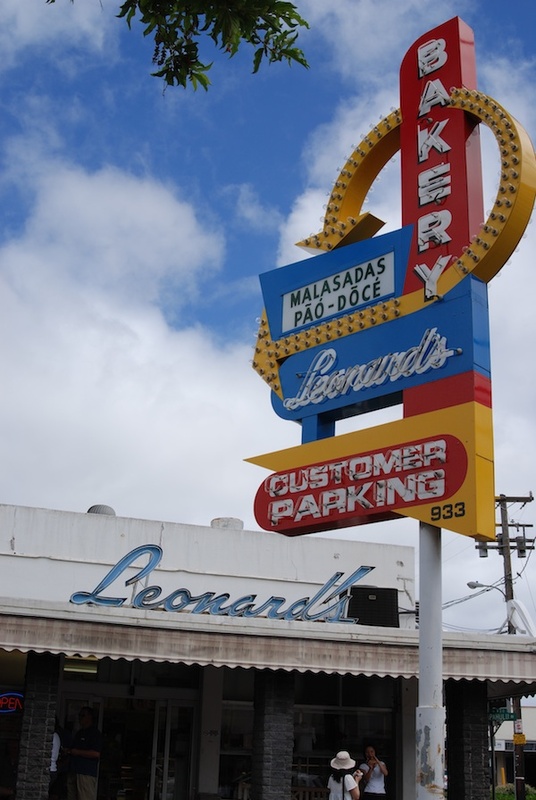 Seeing this post made me want Leonard's!